I decided to visit a chunk of Scandinavia almost at the last minute. At first I had other plans for the beginning of Eurotrashed but as my time on the Mountain to Sea Trail was extended and my climbing plans firmed up, I realized that my original plans wouldn't fit the time and I needed to do something radically different. From that realization this Scandinavian loop was born. 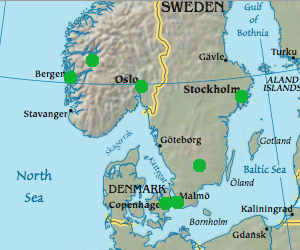 I decided to skip Finland but sites in Denmark, Norway, and Sweden formed a logical circular tour that is otherwise somewhat disconnected from everything else I planned to do. In other words playing tourist there for a week or two before returning to Amsterdam would fit perfect into my overall plan. They are also some of the most expensive countries to see in Europe so the fact that I really didn't have time to linger was an advantage. Plus I could visit and slum with my friend Haidi a few nights. My Eurrail Pass would make travel cheap as well. I left Amsterdam on an overnight train to Copenhagen. I love overnight trains. On this one I shelled out $30, I think, for a bunk in a sleeping compartment from Duisburg, Germany to Copenhagen, Denmark. I shared it with a Pole and a German and had a good night sleep and woke up in another country. Haidi was working so I had plenty of time to explore. 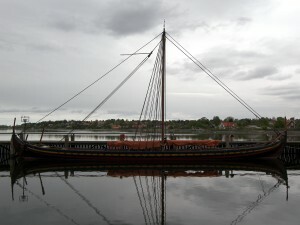 I jumped off the train early and hopped onto a local one for about a 10 minute trip to Roskilde which had been a very important viking city. It is very historic. I wanted to see the viking ship museum and the cathedral. I did that (the viking ships were a little disappointing but the cathedral was better than expected) and explored a few neighborhoods in the process. I found one near a very old church where the local inhabitants were still using traditional thatch roofs. I spent more time photographing Roskilde than I expected. Time to return to the train station. It was drizzling anyway. After arriving in Copenhagen I still had several hours to kill so I found the center of town and ducking into the National Museum. Sadly the oldest exhibits of armored warrior skeletons was closed for renovation but the rest of the place kept me occupied. Of particular interest were the large viking runestones on display. Many of the medieval artifacts where impressive too. Before I knew it they were closing the place up and I wasn't sure how to get out. I didn't stay lost for long though and I took an orientation hike around the area. I ended up eating some traditional herring open faced sandwiches and having a beer. Haidi lives across the Oresund Strait in Sweden so that's where I spent the night overlooking the famous bridge. I had watched a TV show about it's construction so I was happy to ride across it and see it firsthand even if I couldn't see much. The city of Malmö isn't a tourist destination and it is nice to see that side of a country too. Europe isn't all quaint markets and thatched roofs after all. There was one building in particular that she wanted to show me before I left the next day. 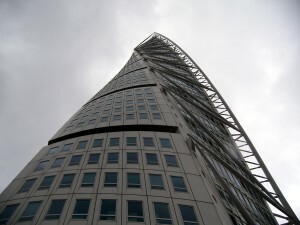 It is called the Turning Torso. It is an expensive highrise apartment building on the waterfront. The name is apt. In case you aren't able to pick it out easily enough in my Malmö photos, the image here will help. This country was a real highlight of the whole trip. It's as beautiful as it is expensive. One of the best values I had was my overnight cruise from Copenhagen, through Oresund Strait and the North Sea, up Oslo Fjord. At only 88€ for my cabin, I didn't hesitate. The cruise food was way too expensive so I prepared myself a picnic: fresh bread, caviar, curry herring, cheese, salami, and wine of course. It sounds like true luxury experience but let me say that I didn't exactly have a suite overlooking the ocean. The small cabin was in the hold below even the two vehicle decks squeezed in near the engines which I was able to hear. Still I loved every minute of it, and after an enjoyable night I went topside to get my first look at Norway from Oslo Fjord, as we approached the city. The next day I took the much talked about "Norway in a Nutshell" trip. This consists of a train from Oslo west over the mountains to a small village where one switches to a private railway. This second train descends to Flåm. It is a remarkable journey to that point. Very beautiful. Flåm sits right on a fjord and the next part of the trip takes a ferry on an inverted "V" down one and up another branch where there is a transfer to bus for a drive up the spectacular valley. 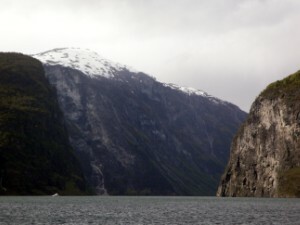 Between all the scenery on the way to Flåm and the Fjords I nearly exhausted all my batteries. Only after that did I return to the main rail line and finish the day in Bergen. Bergen is a great little town on Norway's west coast. I decided to spend an additional day there. Check out my Bergen photos if you want to see it. From Bergen, Norway I spent a lot of train time to get to Stockholm. I got to see more of Oslo along the way but most of my time was spent napping or looking out the window. High speed trains are great. Stockholm is probably a cool city but I was really in town just for one thing, the Vasa Museum. 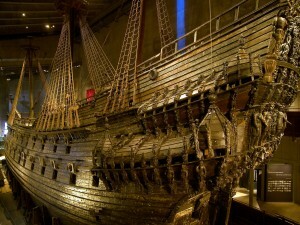 The Vasa is a 300+ year old warship salvaged from the harbor almost 100% complete. It capsized on it's maiden voyage within sight of its dock because the second gun deck made it too top heavy. The dutch shipbuilder had never personally designed a ship with two gun decks before. It is a good thing he died before it happened because the penalty for cutting down a single one of the kings shipbuilding trees was death so you can imagine what the penalty for wasting hundreds would be. The ship was a two year effort for the war with Poland and instead of helping the wreck blocked Stockholms port for two weeks. Ouch! This was another story that I was already familiar with thanks to the Discorvery, or maybe History, Channel. Anyway here are my photos from Stockholm, both the city and the ship. I only spent a night in Stockholm. After the Vasa I headed south to Haidi's farm near Växjö (pronounced Vehkwah). That turned out to be more than just a restful farm visit and I am not just referring felling trees and clearing brush. There was a historic cabin from the turn of last century and just a few minutes walk from her parent's place is a hill which is the former site of a ancient church. Most interesting and a few minutes in the opposite direction were the two 3,000 year old burial mounds. One had been excavated in the 50's. Within the pile of mossy rocks archeologists found a stones lined up in the shape of a ship and pottery. Haidi and I drove down to Malmö together and I gave the town center a quick walk so I could see more than just the Turning Torso building. It is a nice little town. Technically part II should be when I passed from Malmö to Copenhagen to board the DFDS ferry service to Oslo, but let's forget about those couple hours and keep things simple. I am considering my return to Denmark as my revisit to beautiful Copenhagen. Since at the beginning of this loop I spent most of my day in Roskilde I didn't experience much of the capital city besides the National Museum. 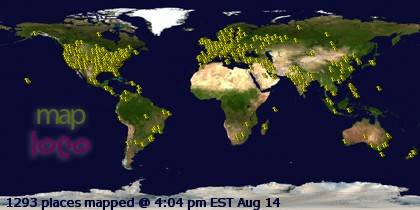 There are many more things to see. Many more than I have time for but I'll do my best. I took a lot of photos even of the stupid "Little Mermaid" statue that everyone goes nuts over. Another night train and ferry ride took me out of Scandinavia. Next stop Germany. Instead of simply going directly to Josje's empty apartment in Amsterdam. I decided to take some days in Berlin first and return to the Netherlands the day after she does.